These grass root initiatives are much more than a collection of books, they will become community hubs with the aim of bringing neighbours together, boosting community literacy levels and acting as a platform for friendly interactions. 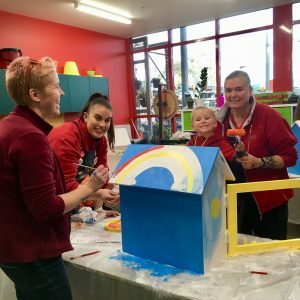 The project, sponsored by the City of Cockburn, saw the first of the street libraries installed on Thursday 11 October, at Meerilinga Children and Family Centre in Coolbellup. 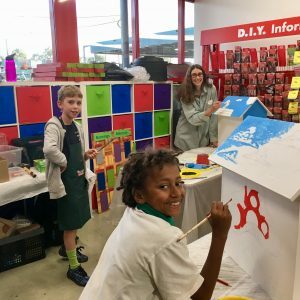 Yangebup Family Centre has also unveiled their street library. Connecting Communities for Kids facilitated the project, together with Bunnings Cockburn Central (who hosted community workshops to help build and paint the street libraries), Street Library Australia (who provided the pre-cut libraries) and Men’s Shed Cockburn (who made and donated the wood for the Street Library Base). 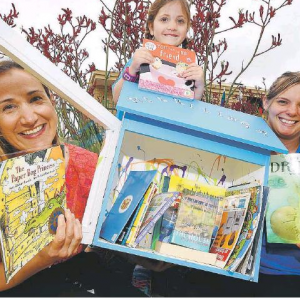 “The Street Libraries are all about sharing the joys of reading with like-minded people and building new community connections”, said Connecting Community for Kids Partnership Director Jane Miller. “So many community members came together to make this project happen, and the result is a piece of neighbourhood art where unabashed creativity has been unleased. The Street Libraries are a symbol of community, sharing and equality. Anyone is welcome to stop by, pick up a book and bring back another to share if they wish”. 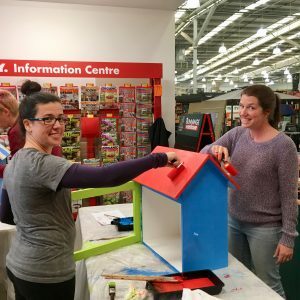 Over the coming month, three more Street Libraries will be installed in various locations around the City of Cockburn including Ottey Family and Neighbourhood centre, Jean Willis Centre and outside a residential address on Carnegie Parade in Success.